Policy approved by the Executive Board, July 2008, Tab 4. The mission of the American Association of Law Libraries (AALL) is to support and serve its members, promote and enhance the value of law libraries, foster law librarianship, and provide leadership and advocacy in the field of legal information and information policy. This policy statement is designed to assure that all gifts or contributions to, or for the use of AALL, are structured to provide maximum benefits for the donor and AALL. Because some gift situations may be complex, or more costly than beneficial, or restricted in a manner not in keeping with the goals of AALL, this policy has been developed to establish standards under which all gifts will be evaluated, as well as a formal process for carrying out such evaluations. This policy is intended as a guide and allows for some flexibility on a case-by-case basis. 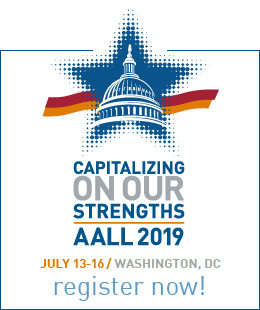 AALL encourages gifts in support of its mission as a not-for-profit membership association. Donors are encouraged to consult with their own personal advisors (accountants, certified estate or financial planners, attorneys, investment brokers, etc.) prior to making any gift to AALL, particularly a planned gift. AALL reserves the right not to accept certain gifts, including those from which AALL will realize little or no financial gain, or which are made for purposes that are inconsistent with AALL’s mission, or which have restrictions that violate AALL’s ethical standards or require illegal discrimination, or which are not otherwise in AALL’s best interests. Donations of gifts for unrestricted, general purposes are encouraged because of the flexibility provided in meeting the most pressing needs of AALL. AALL will acknowledge all gifts and donations in a manner that respects and honors the donor and as the AALL deems appropriate. In accepting a gift, AALL also accepts a responsibility to the donor to manage that gift. This includes administering the gift providing the donor with financial information about the gift, if necessary and, when appropriate, reporting to the donor about the use of the funds. Overall responsibility for assuring compliance with the requirements of this policy is assigned to the Gifts Acceptance Committee. All gift proposals must be screened initially by the Executive Director. In all cases, gift proposals are accepted subject to the recommendation of the Gift Acceptance Committee, and the approval of the Executive Board. Ad Hoc Appointment. The Gift Acceptance Committee (GAC) serves on an ad hoc basis. Members of the GAC. The GAC is composed of the President, Vice-President, Past President, Treasurer, Secretary, and Executive Director (ex officio). Counsel to the GAC. The AALL legal counsel serves in a consultative role to the GAC. Consensus required. All decisions of the GAC must be made by consensus. If consensus cannot be reached, gift proposals will be forwarded, without recommendation, to the Executive Board. Gifts of tangible personal property. Instances in which use of counsel is deemed appropriate by the GAC. AALL will urge all prospective donors to seek the assistance of personal legal and financial advisors in matters relating to their gifts and the resulting tax and estate planning consequences. If required by law or determined necessary by AALL, an appraisal of a proposed gift must be conducted. Appraisals must be conducted by an appraiser independent from AALL. Generally, the cost of such an appraisal will be the responsibility of the donor. In unusual circumstances, the GAC may approve payment of the cost of an outside appraisal. The GAC will evaluate a proposed gift to determine whether the costs to AALL associated with receiving the gift can prudently be accommodated. For example, accepting real property may require payment of closing costs, payoff of debt secured by the property, and physical changes to the property necessary to assure safety or control environmental hazards. Likewise, the cost to retrofit a proposed gift of equipment usable for AALL purposes may be deemed excessive. The GAC may determine that associated costs outweigh the benefits of accepting the gift. The GAC may designate responsibility for evaluation of costs to the Executive Director, who will refer all findings to the GAC. The AALL will decline gifts if it is aware of questions concerning the donor’s title to the assets, competence of the donor, or other similar situations. The GAC or its designee will provide all donors of accepted gifts acknowledgement letters and receipts within a reasonable time frame. Where appropriate, donors may also be given tokens of appreciation. The Executive Director is responsible for assuring compliance with acknowledgements and receipt requirements. The AALL may accept gifts subject to restrictions by a donor if the other requirements of this gift acceptance policy are met. Any restrictions imposed by a donor must be outlined in a written agreement signed by an officer or the Executive Director of the AALL. The Executive Director is responsible for establishing procedures to assure the AALL’s compliance with the restrictions. The signature of the donor signifying acceptance. The above general procedures apply to all gifts to the AALL. The following additional procedures set forth specific parameters on common types of gifts. Special gifts or circumstances not described below may require a case-by-case review and may be subject to additional AALL policies. Unrestricted cash and checks may be accepted by AALL regardless of amount. Checks must be made payable to American Association of Law Libraries. In no event may a check be made payable to an employee, agent or volunteer who represents AALL. Publicly Traded Securities. Securities that are traded on any recognized stock exchange and are readily marketable may be accepted by AALL and will be immediately sold by AALL. For AALL gift crediting and accounting purposes, the value of the securities is the average of the high and the low on the date of the gift, in accordance with IRS regulations. The value of a gift of personal property must be determined by a qualified appraisal under the terms of the Internal Revenue Code. Donors will be informed at the time of the acceptance of such a gift that AALL will, as a matter of policy, cooperate fully in all matters related to IRS investigations of non-cash charitable gifts. No personal property may be accepted under conditions that obligate AALL to retain the property in perpetuity. No gift of residential, commercial, industrial or agricultural real estate may be accepted without approval of the Executive Board, regardless of the purpose or value of the proposed gift. If the gift is approved by the Executive Board, the donor is responsible for obtaining an appraisal of the property by a qualified appraiser. All gifts of real estate must be evaluated in light of the need for an environmental audit. Qualified environmental professionals selected and directed by the GAC may be required to perform an environmental audit. The cost of such audit must be paid for by the donor. An environmental professional is an individual who, through academic training or occupational experience, is qualified to conduct such an audit. The environmental audit is to determine whether a hazardous substance is, or in all likelihood could be, present within the property and must include all information required by the GAC. If the environmental audit discloses the presence or likely presence of, or a release or threatened release of, a hazardous substance on the property, the transfer of the property to AALL will not be accepted until satisfactory documentation is provided to the GAC that federal, state and local environmental authorities have determined that such condition has been remediated. The donor bears the cost of any environmental clean up. The AALL will not accept any gift of real estate encumbered by a mortgage or lien. A qualified and licensed real estate broker, engaged by the GAC, must conduct an inspection of the property and render a written report/evaluation to the GAC. The donor will pay for the inspection. No unrecorded rights of way, easements or encumbrances are attached to the property. No contractual or other donative commitments to other individuals, corporations or groups are attached to the property. The property is neither the subject of, nor threatened with, litigation. The donor must be advised before making a gift of real estate that the property will be sold upon receipt. AALL will accept life insurance policies as gifts only when AALL is named as the irrevocable owner and beneficiary of 100% of the policy. If the policy is a paid up policy, the value of the gift for AALL’s gift crediting and accounting purposes is the policy’s replacement cost. If the policy is partially paid up, the value of the gift for AALL’s gift crediting and accounting purposes is the policy’s cash surrender value. AALL encourages all donors to disclose their bequest intentions to the Executive Director in writing to ensure that AALL is able to carry out the donor’s future wishes and that the gifts conform to this Policy Statement. Gifts from estates of deceased donors which do not conform to AALL’s policies may be accepted or rejected pursuant to the procedures outlined above, and such decision communicated to the legal representative of the estate. If possible, a mutually agreeable plan shall be negotiated between AALL and the representative to make the gift acceptable. The GAC acting on behalf of AALL should become familiar with the types of property generally accepted by corporate fiduciaries as suitable contributions to charitable trusts. Only suitable types of property may be encouraged as gifts to AALL. Neither the GAC nor any employee or other person acting on behalf of AALL may recommend to a potential donor any corporate fiduciary. No gift annuity which names an income beneficiary under 60 years of age, or any deferred payment gift annuity which names a beneficiary under 45 years of age, may be accepted without approval of the GAC. Gift Annuities and deferred payment gift annuities may be accepted for a single life or two life-joint and survivor annuity only. The minimum initial contribution for a gift annuity is $25,000. The minimum contribution for an additional gift annuity is $10,000. AALL will use the payout rate schedule suggested by the American Council on Gift Annuities as a representative guide. 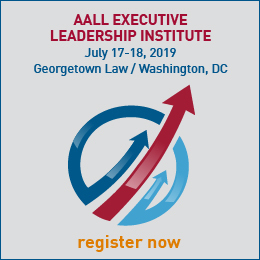 Gifts to AALL may be restricted in their use if the proposed use is consistent with AALL’s stated mission and the restrictions do not violate AALL’s ethical standards or require illegal discrimination, or which are not otherwise in AALL’s best interests. Significant restricted gifts, and endowment gifts must be approved by the Executive Board. The GAC reserves the right to change the designated purpose of any restricted gift if the restriction prevents AALL from using the gift to fulfill the donor’s intentions or becomes impractical, unnecessary, or undesirable. The GAC will advise potential donors of the GAC’s discretion to change the purpose of a restricted gift. At the time a change is made, the GAC will make a reasonable effort to hold a discussion with the donor, or if then deceased, his or her heirs, or such other persons designated by the donor. Designated gifts of any size may be made to an existing endowment fund of AALL. A named endowment gift carrying a name designated by the donor may be established with a minimum initial contribution of $ 50,000, assuming the purpose of the endowment is approved by the Executive Board. These policies and guidelines have been reviewed and accepted by the AALL GAC. The Executive Board must approve any changes to or deviations from these policies.